Amarillo, TX - A scientific researcher has become a worldwide sensation for his studies on how conditions in space actually affect weather on earth. 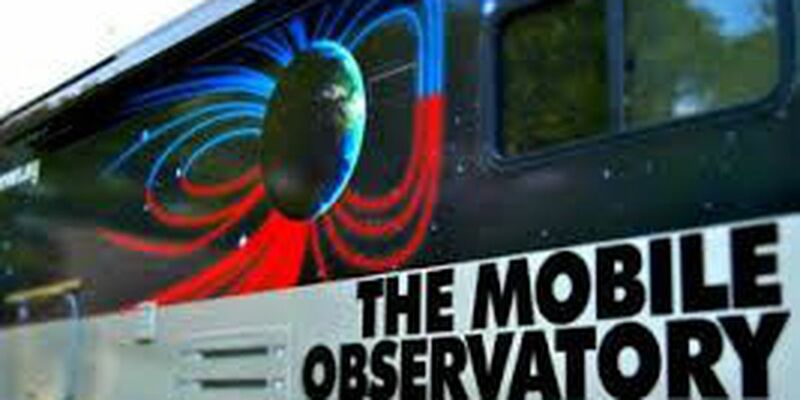 Global warming is a hot button issue, however this Director of the Mobile Observatory Project, Ben Davidson, said it's not so much the warm weather we should be worrying about, but instead the cold weather he's predicting will be here for longer periods of time. Davidson is traveling the country to meet viewers who religiously watch his YouTube channel. The site has millions of hits and focuses on the affects the sun and space conditions have on climate change. "Essentially what the sun is doing right now is it looks like its about to go into a 50 to 70 year quiet period," Davidson said. "It's not going to go black or anything like that. But it is going to significantly weaken. It's already begun." With this comes colder temperatures, something some said goes against the theory of global warming. Scientist who support evidence of global warming said human pollution has led to many natural disasters. "We're no fans of pollution, we get accused of being oil boys every once in awhile, but in truth, pollution is a big problem, climate change is very real, the heat events are very real along with the storms, the floods, the droughts, it's just that we have seen thus far, and what winter has given us so far in 2014," Davidson said. "And even before the winter began, the deaths are coming from cold events." With the weakening of the sun, Davidson said we can expect to see more extreme natural weather disasters within a few years, killing off livestock and several crops. "They can call it a mini ice age, and most people don't hear the mini, they just think about woolly mammoths getting stuck in ice, but what it really means is that in the summer it'll still be warm," Davidson said. "You'll still have your seasons, but the polar vortexes will come more often, they'll be colder, and you could have some severe cold events even into the summertime." Davidson works alongside scientists all over the nation and his project is solely funded by viewers who encourage his research.